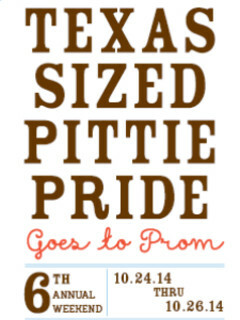 Humans and dogs are invited to the 6th Annual Texas-Sized Pittie Pride Parade celebrating National Pit Bull Awareness. The parade starts at noon with the Pittie King and Queen leading the way down Congress Avenue towards he festival with vendors and food waiting at Republic Square Park. Those interested in being a part of the parade, please meet at the Austin American Statesman parking lot at 11:30 am. And don't forget: costumes are welcomed.